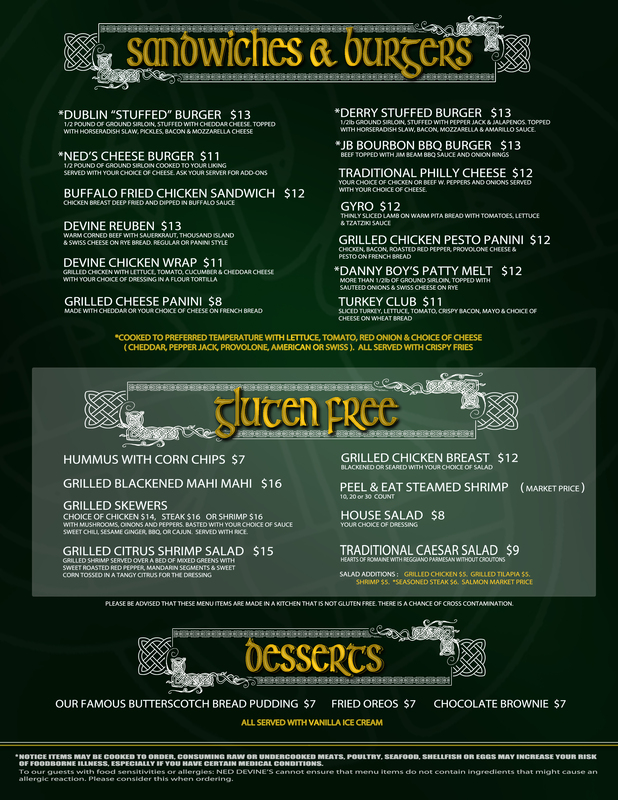 In Herndon, Virginia, NED'S IRISH SPORTS PUB offers a casual dining atmosphere serving lunch and dinner options. 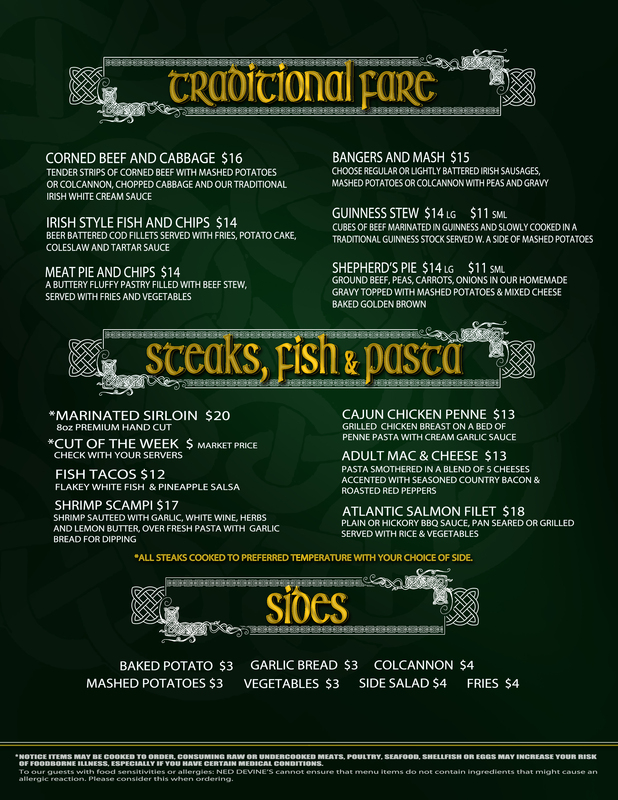 We serve primarily traditional Irish food and American cuisine, and the average price of our entrées ranges between $12 and $16. In house catering services are also available for groups of all sizes and for virtually any type of event, including sales meetings. We're highly regarded for going above and beyond what other restaurants will do regarding catering for large events. 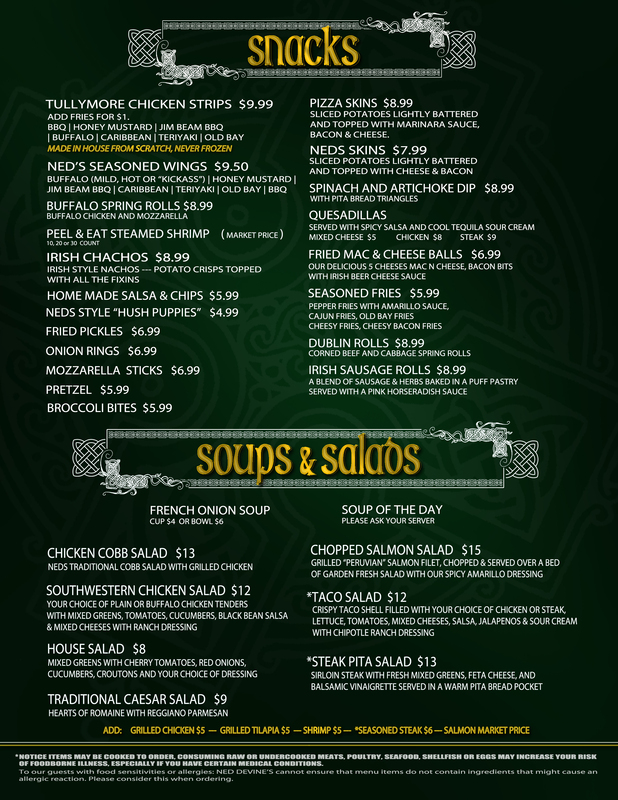 Our menus boast robust selections of savory Irish and American dishes. 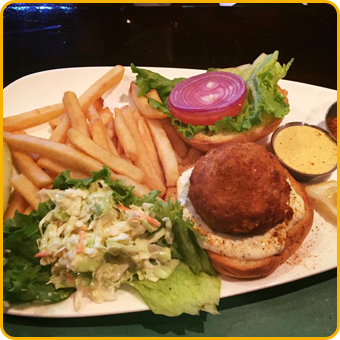 Our crab cakes are especially delicious, and some even claim we have the best in all of Virginia. In addition to our crab cakes, you'll enjoy many other options to choose from, including seafood summer meals, desserts, and happy hour selections. 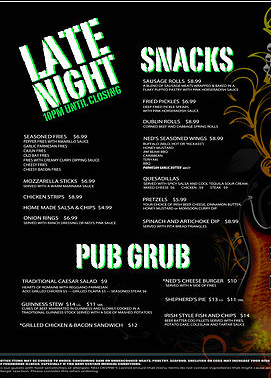 Since we're open until last call at 2:00 a.m., we also offer an impressive late night menu, and unlike many pubs, our kitchen remains open until we close. Between 2:00 p.m. and 7:00 p.m., Monday through Friday, we host Irish Times. During this time, you'll find great happy hour specials, and you can let loose and party Irish style. Bring your friends and coworkers and enjoy a night of fun and good food. 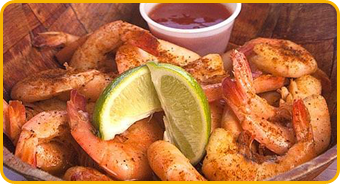 The Virginia Department of Health requires us to inform you that these items may contain raw or undercooked ingredients and consuming raw or undercooked meats, poultry, seafood, shellfish, or eggs may increase your risk of food-borne illness.